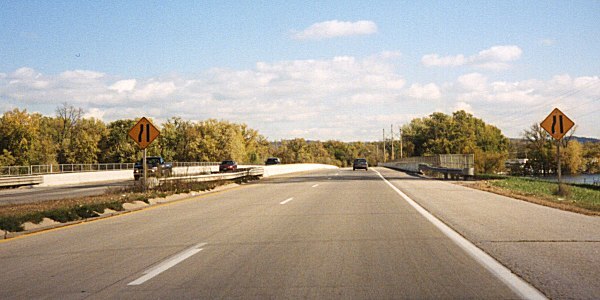 The La Crosse West Channel Bridge looking east. Wisconsin Public Radio broadcasted a debate Oct. 13 between incumbent Democratic Rep. Steve Doyle and Republican Julian Bradley, the candidates competing for the 94th Assembly District. During the debate, Doyle claimed that La Crosse County needed more state support to improve local road conditions. The Observatory confirmed both the $61 million in county needs and the $2.4 million available to spend. However, the $2.4 million is borrowed funds, which can only be spent on large projects. We concluded that the county has more money available to spend past $2.4 million since the $61 million applies to all types of highway maintenance, not just large-scale projects and rated the claim as Mostly False as it left out that context. However, La Crosse County Highway Commissioner Ron Chamberlain expects county needs to rise in 2017 because of general deterioration. “Quite frankly, 2017 is the next rating year and I anticipate that the estimated cost of our needs will grow because of recent roadway deterioration due to increased weights (of vehicles), traffic, and severe spring break up,” said Chamberlain in an email interview. Chamberlain also guessed that a majority of other local units of government across the state would find their comprehensive needs proportionally similar. Welch said that if the county were to have more money to spend on transportation, they should focus on maintaining the roads they have.